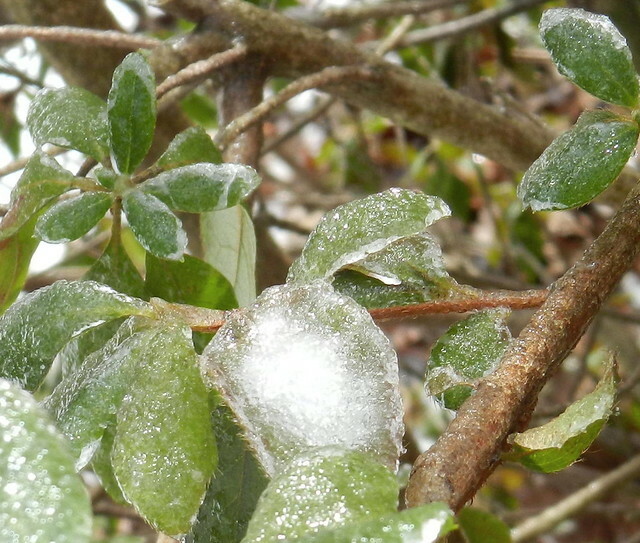 I think that looks like a little ice flower in the azalea. Buds beckon for spring and fortunately I think they are small enough to brave the extreme cold. Seems like spring is coming slowly! The ice is beautiful. Enjoy your weekend. Thank you for sharing these Carver, beautiful photos as always. Roll on Spring! Hopefully the ice didn't do too much damage....it is lovely though! Are you still in NC? Wow, we got the snow and ice over here in Greensboro, but not the buds. Fortunately! Hi Carver, haven't been here in awhile. 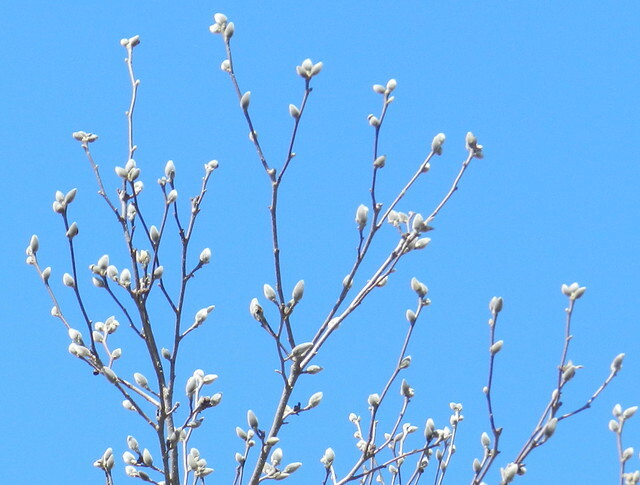 Love that second photo with the cold buds against the lovely blue sky!